A red and white love card to send to the one you love. Gorgeous wedding anniversary card. Can be personalised. 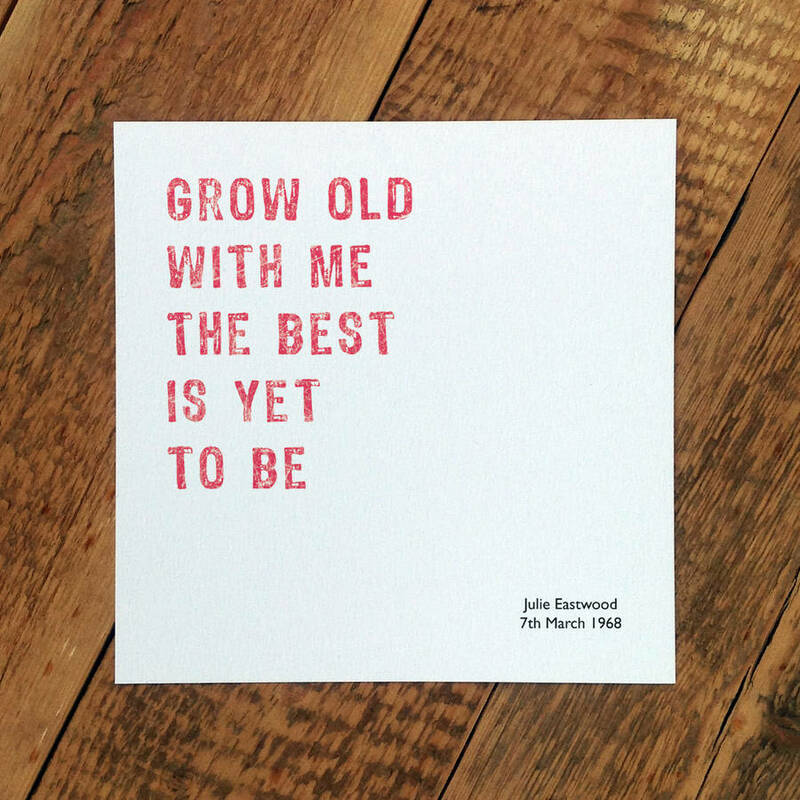 The perfect card for a wedding anniversary, Valentine's Day, or just because you love someone. Or why not give this to the person you're getting married to on the morning of your wedding? If you choose to personalise this card the name and date will be in black (see photo for example). You may choose a first name and surname or just a first name or nickname, the choice is yours. Please note that we do not send you a proof so please make sure you get the name and date correct when you type them into the box. This card is left blank inside for your own words. Comes with a white envelope and sealed inside a cellophane bag. Posted in a rigid envelope. 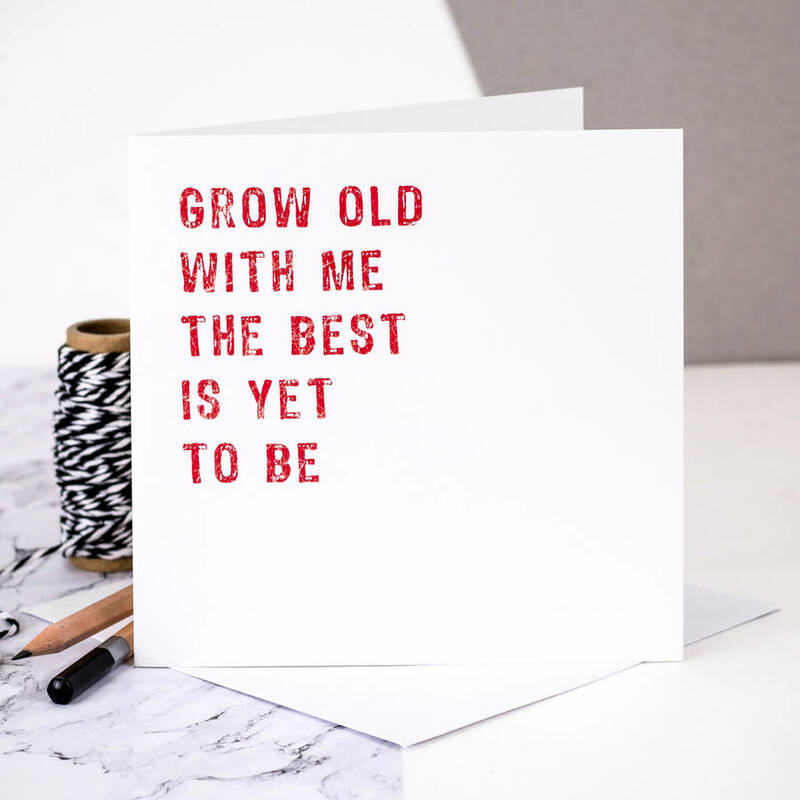 You can also choose to send this card direct to the recipient; perfect if you're overseas or in a hurry. 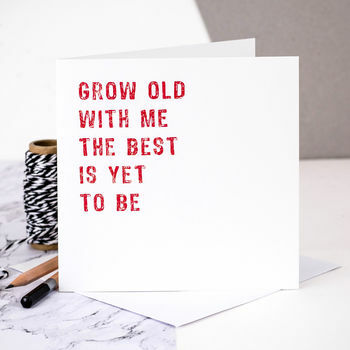 A card chosen with this option will have the message printed in the card exactly as typed in the text box and sent in the white envelope directly to the delivery address provided. We will not send the receipt to the recipient. A card sent direct will not include the cellophane bag or rigid envelope. Your card will be sent to the delivery address you select at checkout. If you are sending direct to your recipient please ensure that the delivery address is correct. Any orders placed where the customer address and delivery address is the same, we'll assume you're giving the card yourself and will package with a blank envelope. Uncoated 300gsm heavyweight textured matt paper. Copyright © Coulson Macleod Limited. All rights reserved. 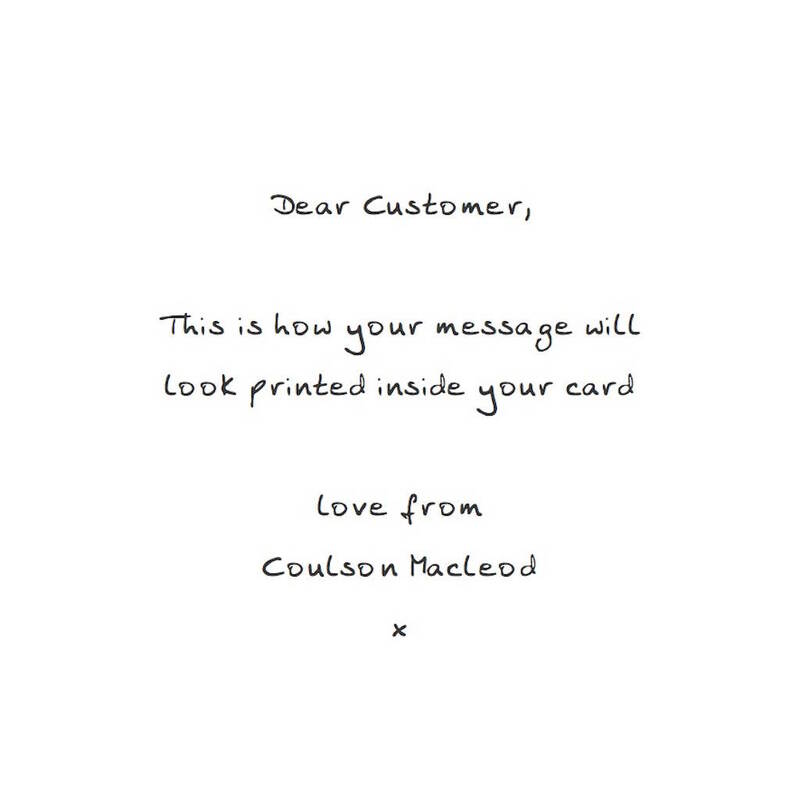 This product is dispatched to you by Coulson Macleod.